The Salvation Army Children's Services is proud of our partnership with Lehigh County Children & Youth in establishing and maintaining The Comfort Cottage: A Family Engagement Center. The Comfort Cottage provides families with a safe, home-like environment for their visits while children are in foster care. Originally private homes, the Comfort Cottage consists of two brick cape cod homes set in a quiet rural area of Allentown. The visit cottage boasts 5 rooms, decorated and painted with bright colors and child friendly themes, a kitchen, two bathrooms and a spacious outdoor area. The additional cottage will be utilized by staff and Visit Coaches. The Comfort Cottage is a place where parents who are working toward reunification with their children in foster care can visit with them along with the support of a Visit Coach. Through Visit Coaching, parents are empowered to care for their children and taught skills that they will be able to utilize in their own homes after reunification occurs. This innovative approach to supervised visitation and reunification has proved highly successful and The Salvation Army Children's Services is thrilled to offer these services to all Lehigh County foster care cases. The Morning Call Chooses The Comfort Cottage for the 2017 Volunteer Challenge! Visit: http://www.mcall.com/about/volunteerchallenge/ to read more! 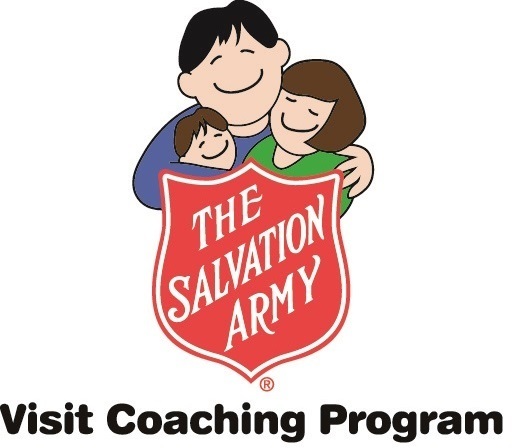 The Visit Coach meets with parents before and after each visit to collaboratively identify the developmental, emotional and physical needs of their children, plan child-centered activities, learn strategies to meet their children's needs and evaluate each visit in preparation for the next. In the warm inviting atmosphere of the Family Visit Room at our office, or in the new Comfort Cottage, parents and children enjoy the freedom to focus on the moment at hand, strengthening bonds, calming fears, sharing good food and playful therapeutic interaction. Parents' strengths are recognized and become the foundation for learning new, healthy, parenting skills.